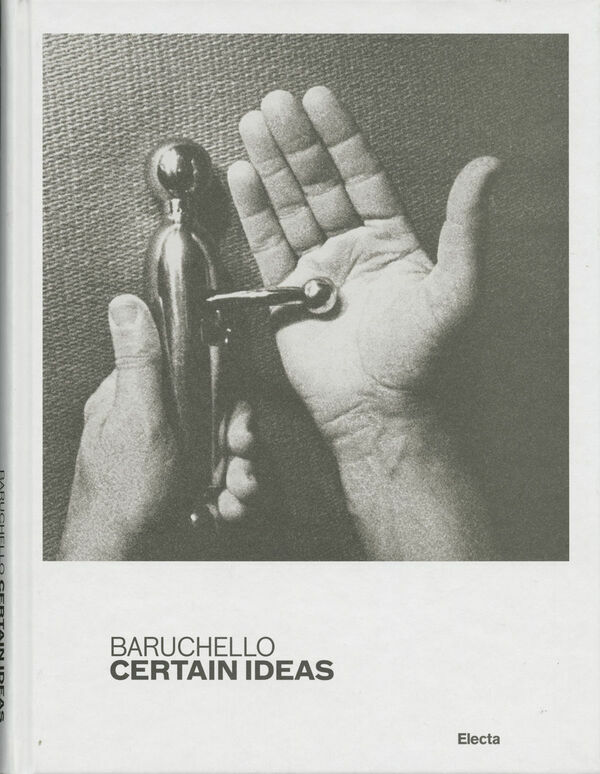 440 pages, 22.2 x 28 cm , 2205 g.
This is the first time that Gianfranco Baruchello (*1924) has opted to publish a book that describes his long and creative artistic career over almost seven decades. It is prefaced by two contributions by Achille Bonito Oliva, the art critic, and Carla Subrizi, the Foundation's artistic director. The various sections, each one of which focuses on a phase of research, are introduced by a new text and a selection of earlier writings by the artist himself, some of which have already been published but which can no longer be found on the market. The illustrations cover far more ground than the works displayed in the exhibition and include many photographs taken by Claudio Abate. Finally, the book contains exhaustive documentation (technical data, photograms and synopses) of the films and other video productions made by the artist from 1963 to the present day, as well as a catalogue of the works featuring in the exhibition. Albert Oehlen – Die 5000 Finger von Dr. Ö.